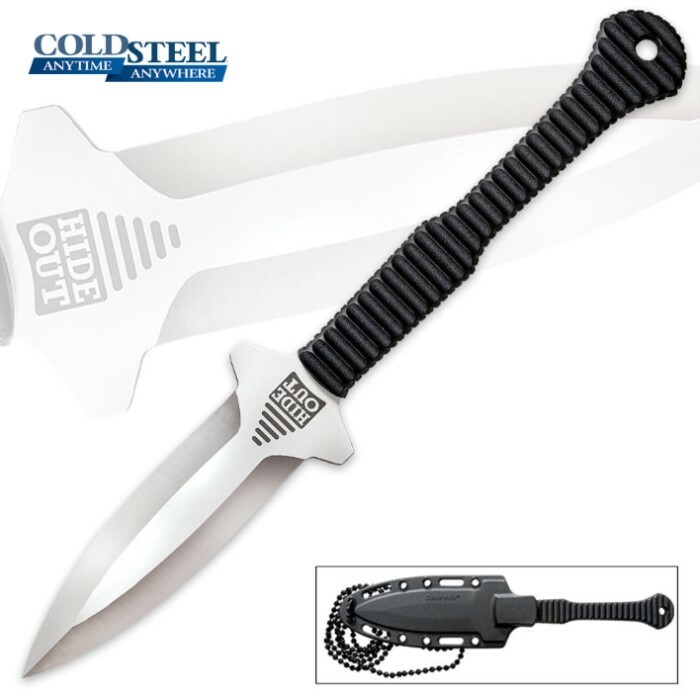 You won't have to hide in fear anymore, not with this Hide Out neck knife from Cold Steel featuring a 3" satin-finished Japanese AUS-8A stainless steel spear point blade. The high-quality steel has a double-edged design with a piercing point and sturdy, full-tang construction. 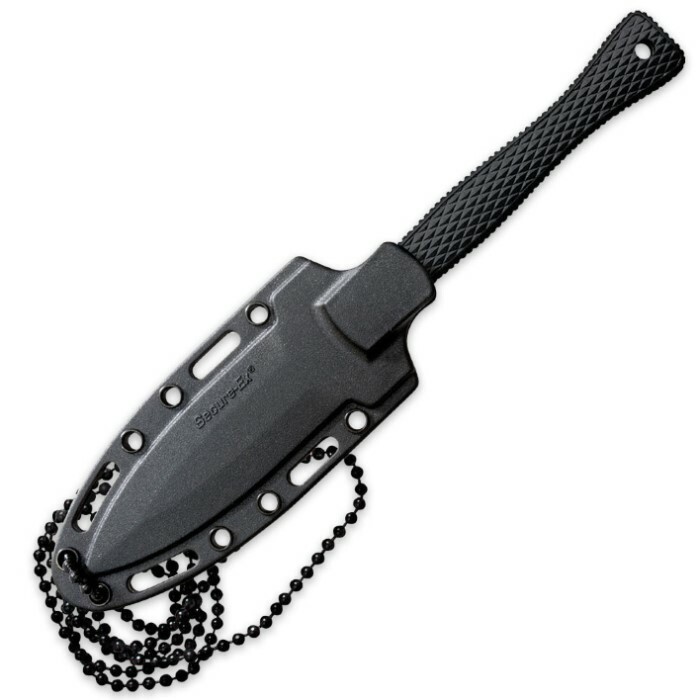 The weather-proof Kray-Ex handle provides you with a secure, slip-free grip even when wet, and the Secure-Ex sheath features a bead chain lanyard to keep this knife only a short reach away. It's a very effective size at 6.5" overall.